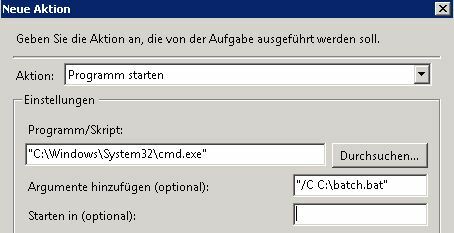 if you ever would start a batch command by Windows task scheduler you might wonder, why the command isn’t executed if noone is logged in. I run in this issue while migrating a file server. I wanted to do a synchronize job every night but scheduling only succeeded when I was logged in.